“Roses” debuted at #9 on the US sales report, StreetPulse, making it the 3rd highest debut album this Tuesday. StreetPulse reports the percentage of CD sales in the US and the ranking of those album sales by recording artist, song title, and record label. Roses is also #15 on the independent retail sales report. Over the last days, there has been a certain amount of confusion in the fan community on how to purchase/legally get Roses bonus tracks. Sadly not all bonuses are available for everyone to purchase, due to some restrictions on iTunes and Amazon. Plus, with the “extinction” of CD-singles, those non-album tracks are being harder and harder to get on CD releases. Here’s a suggestion for Cooking Vinyl and the band. An EP (CD) with all bonus tracks or a Complete Session of Roses later on this year. Older-fashoners who still care for CDs -and there seems to be a lot of them in the Cranfan community- would be ecstatic. This is the only bonus to be available on CD so far, if you are willing to buy the Japanese CD edition at a 30-something dollar price. ITunes bonus track when you purchase the whole digital Roses album. Available on: every Itunes stores… where ITunes is actually available. *Note that unlike some Canadian CD stores say on their website, this song is NOT available on the Canadian 2-CD edition. ITunes bonus track in some countries when you purchase the whole digital Deluxe edition of Roses. ITunes bonus track in Canada when you purchase the whole digital Deluxe edition of Roses. 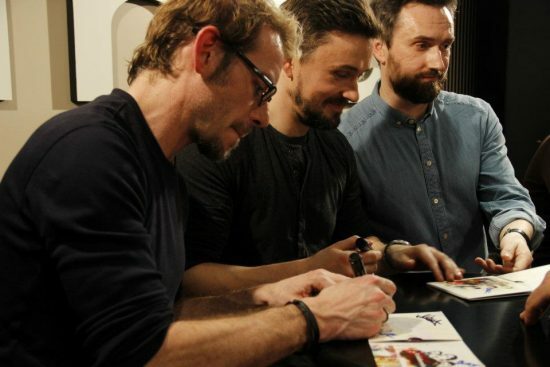 Again, lots of news coming from our friends on I Still Dream starting with a new radio show which you can now watch on our promo performances section: The Cranberries played Tomorrow on Radio Monte Carlo during their Italian promo tour. Note that it is unclear if the band performed other songs during the show. Last but not least, do not miss the scans of the Sunday Independent Life’s article focused on Dolores which features new beautiful pictures. One will notice her new “Molly” tattoo with flowers. Note that the positions will move frequently as the iTunes charts are updated several times a day. There is no bonus tracks on CD1 of the Canadian 2-CD edition of Roses unlike some music retailers are showing on their website. Several Canadian websites say that “Perfect World”, “Always” and a live version of “Dreams” are included on the first CD of two, but this is incorrect. The Canadian 2-CD edition has the same track list as the international 2-CD edition. This error might come from the descriptive sheet at Universal Canada. As for the Canadian iTunes edition, it does include exclusive bonus “Stop Me”. 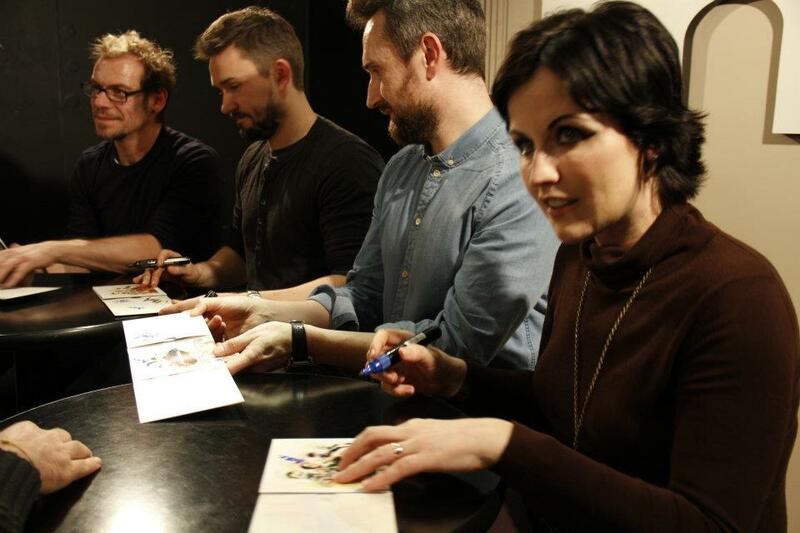 “ROSES” The Cranberries 6th album, is out now! The album already made it on the iTunes Top 10 in several countries, including Italy, Spain, Germany and Canada. The Canadian iTunes store now features a preview of bonus track “Stop Me”, only available for Canadians to purchase. As expected, two pre-recorded shows –London Live 2.0 and On connaît la musique– were broadcast respectively on Rai 2 (Italy) and Europe 1 (France). 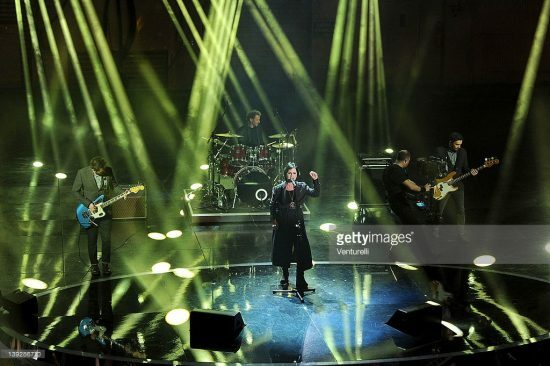 Although the band played and acoustic version of “Raining In My Heart” in Milano for the Rai 2 TV show, it seems that the song was not aired on TV. As for “On connaît la musique”, the band played a 3-track electric set including Schizophrenic playboys. Besides, note that you can now watch the band’s performance on Radio 105 recorded in Milano and listen to their February 20 interview on Kiss Kiss Radio. Thanks for this to Mikele and Irishsoul, members of the Italian forum I Still Dream. Last but not least, don’t forget to watch below the Dolores and Noel’s interviews given last January to Face Culture in Amsterdam and Wunderweib in Germany. The Cranberries hired a new backup singer for their upcoming tour. Meet JOHANNA CRANITCH. This “Australian-born, Hungarian-bred, Brooklyn-based” singer made her debut performance with the band yesterday when she sang the back vocals on “Linger” at The Edge FM. Many fans were amazed to hear how great Dolores and Johanna’s voices mixed well together. In the past tours, backup vocals were performed by the band’s backup guitarist, Steve DeMarchi. Johanna Cranitch also has her own musical project, Johanna and the Dusty Floor. Dolores and Noel were in Toronto, Canada today for the Canadian stop of the Roses promo tour. 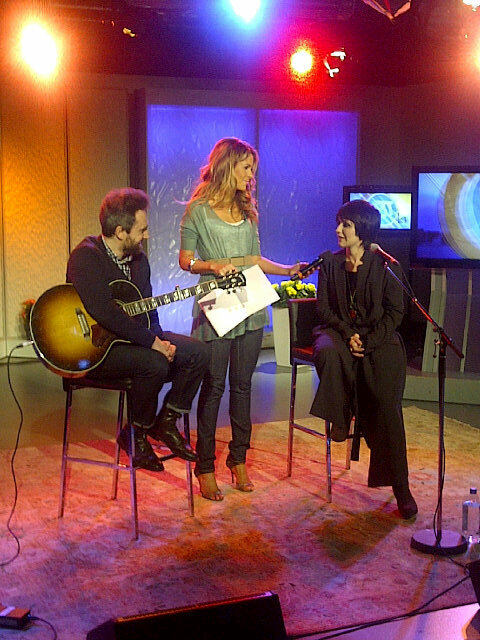 The 2 ‘Berries started up their day early on Breakfast Television (CityTV) for an acoustic performance of “Tomorrow”. Then, they performed the song again along with “Linger” on The Edge FM. They were accompanied by a female backup singer on “Linger”. Hats off to this lady whoever she is who knew how to blend her voice perfectly to Dolores’s. Dolores and Noel also pre-recorded a 3-song performance for CBC Radio 1’s Q yesterday. The show aired this morning. Also don’t forget that promo performances recorded at London Live 2.0 and On connaît la musique will be broadcast tomorrow. Check out the Calendar for all details. 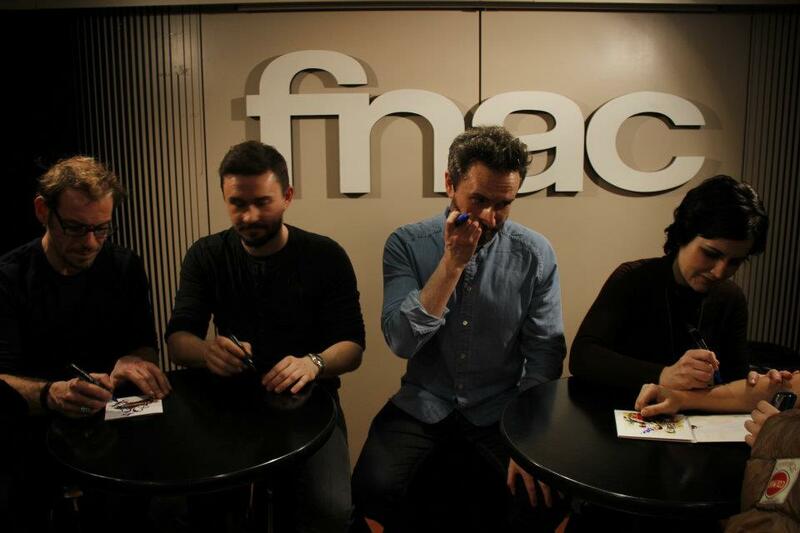 Fnac Italia published on their Facebook account about 180 pictures of the band’s signing session that took place on Tuesday in Milano. 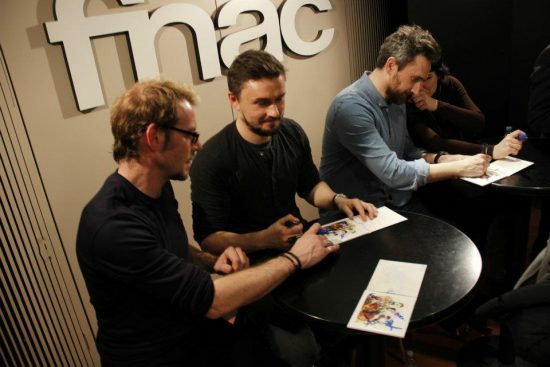 It seems that the band answered questions from the audience before signing some copies of Roses, released on February 21st in Italy. As posted on our Twitter account yesterday, the band could play in their home-town, Limerick @ Thomond Park this year. It seems that this concert is still in the process of negotiation but the Limerick Leader reminds us that the Thomond Park management previously managed to host famous artists such as Elton John, Bob Dylan, Pink or Rod Stewart. The band already played at Thomong Park on June 9, 2010 to open the Special Olympics. Now for people interested in the November French tour dates, the pre-sale has just started today on GDP’s website (www.gdp.fr). These concerts will then be on general sale tomorrow on the usual Fnac or Tickenet websites. Don’t forget to check our Concerts section to know more about this tour. Also, note that the Washington concert (May 14) sold out yesterday. Last but not least, click here (no longer available) if you want to win ticket to see the band in Manila (Philippines) on April 10. 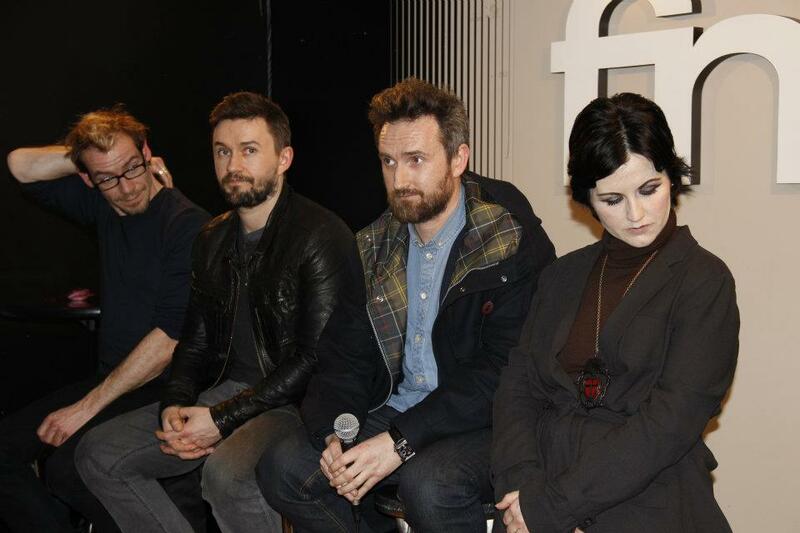 The Cranberries left Italy today after a few days of promo in Sanremo and Milano. 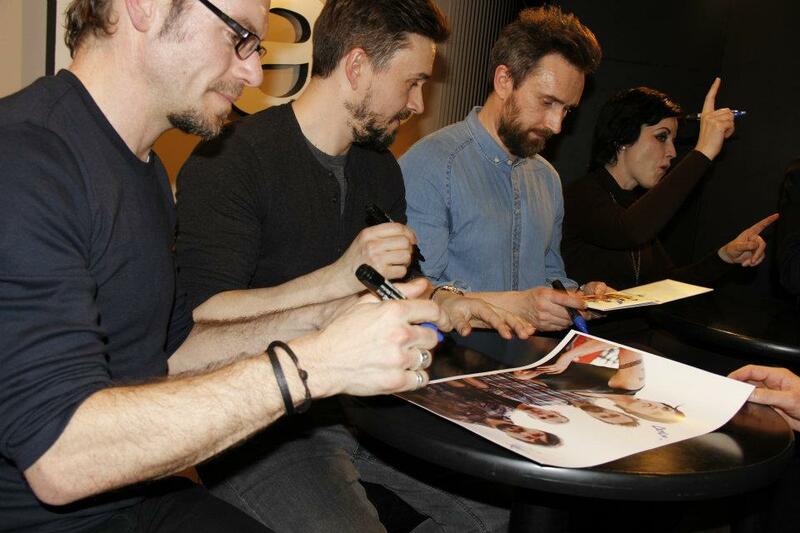 The band did interviews in various Milano radio stations (KISS KISS, Radio Deejay, RTL) in last days. They also recorded a segment for the London Live 2.0 TV show and an acoustic session on Virgin Radio. The London Live 2.0 episode will air this Saturday (the 25th) on RAI 2. Next step, The Cranberries will perform on CBC radio 1’s Q on Friday in Toronto, Canada. In the meanwhile, you can watch this mini interview done by Spinner.ca (link no longer available) during last year’s Metalworks session. According to some fans from the I Still Dream forum, the band said on two Italian radios that “Raining in My Heart” will be next single. In other news, The Cranberries recorded a segment of the London Live 2.0 show today in Milano. Dolores and co. were also guests of The Flight on RTL 102.5 today. The band ended up their promo activities today with an autograph session at FNAC in Milano. 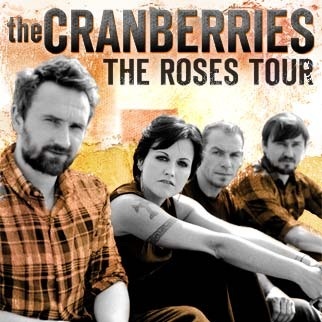 The Cranberries Team just announced that the concert in Minneapolis on May 17th will take place at The Brick. Tickets go on sale on February 24th. Also, it seems that the upcoming tour should be called “The Roses Tour” as mentioned on the venue’s website (www.thebrickmn.com) where you can find more information about this gig. The Cranberries started their Italian promo tour last weekend in Sanremo. The band performed two songs “Zombie” and “Tomorrow” at the 62 Festival di Sanremo on Saturday night. This was a playback performance with live vocals! Monday, the band were guests at KISS KISS Radio and Radio Deejay in Milano. 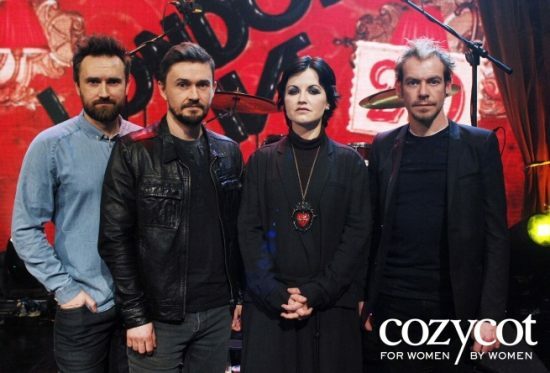 On Tuesday The Cranberries will record a 4-song performance on TV show London Live 2.0 (Rai 2) then be on radio show The Flight (RTL 102.5). Below an interview with the three lads done in the last days with a reporter from Blogosfere. It seems the “London Live 2.0” TV show supposed to be recorded today (Monday 20) was postponed & should be recorded TOMORROW MORNING at 9:00 am. For now we have no information on why it was cancelled today. 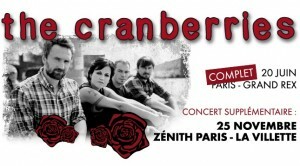 Anyway The Cranberries are still planned to play 3 or 4 songs. So if you are in Milano tomorrow you still have your chance to be part of the show as entrance is free (first come first served). Address: studi Rai in Viale Mecenate 76, Milano. Thanks again to Uridesm for catching our attention on this. Canadian 2-CD edition of ‘Roses’ to include bonuses? According to the Archambault.ca website, the Canadian 2-CD edition might include “Always” and “Perfect World” as bonuses as well as the live version of “Dreams” from the Madrid show. This could be the only way to get those three tracks on CD. Note that this information has not been confirmed by any other site and that this could be a simple mix up between the CD and digital editions of Roses. Do not miss the 30 seconds previews of “Serendipity” and “In It Together” now on Amazon.de. As you may know, “In It Together” was recorded a first time in 2003 before being re-recorded in 2012 to be included on Roses. This track had already been heard a few times live before in 2003. Most of the tickets for the US tour dates go on sale today, as well as the tickets for the Italian concerts. Check out our Concerts section to buy tickets. Also, it seems a new show in Montréal, QC has been added on May the 7th! The link on ticketmaster.ca was deleted later in the day. So we still don’t know if this was a mistake from ticketmaster or a real information given too early. Grench promoter Gerard Drouot Productions confirmed a second show for Paris on November 25, 2012 as the concert of Grand Rex sold out today. Tickets are already on sale on their website. Also, as announced during the French promo tour of January 2012, the band should perform a big European Tour in the fall with bigger venues. The Cranberries stopped by KCSN 88.5 FM yesterday for an interview and a 4-song performance on Sky Daniels’ Afternoon Music Mix. Interviewed by Sky Daniels, Dolores and Fergal spoke about Roses and how this album was recorded in a happy way without pressure from the music industry, compare the their two previous albums. “I think that, creatively as writers, Noel and I went to a point of just turning out stuff. We were not really writing for the love of it, because we were contractually bound. We had to deliver. 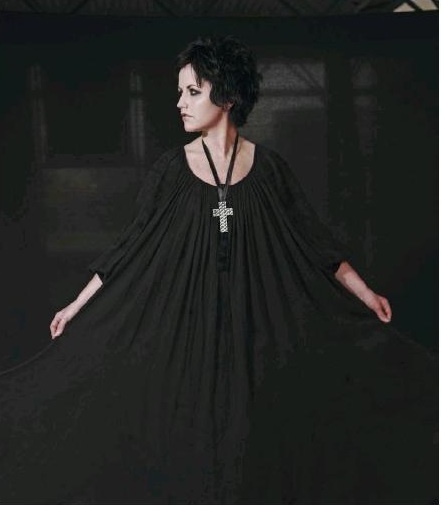 […] But with this particular album [Roses], I think that what we found is what we had lost,” told Dolores. She explains that Noel and she have been sharing music ideas now and then since 2005. So, will The Cranberries dare to pic oldies like “Uncertain”, b-sides like “Paparazzi on Mopeds”, “Cordell”, and “Stop Me”, or rarely played live songs like “Yeat’s Grave” and “What’s on My Mind” in the next tour?? Fingers crossed!! The band played acoustic versions of “Tomorrow” and “Raining in My Heart”, as well as “Linger” and “Ode to My Family”. You can listen to the interview on the 88.5 KCSN Sound Cloud page. 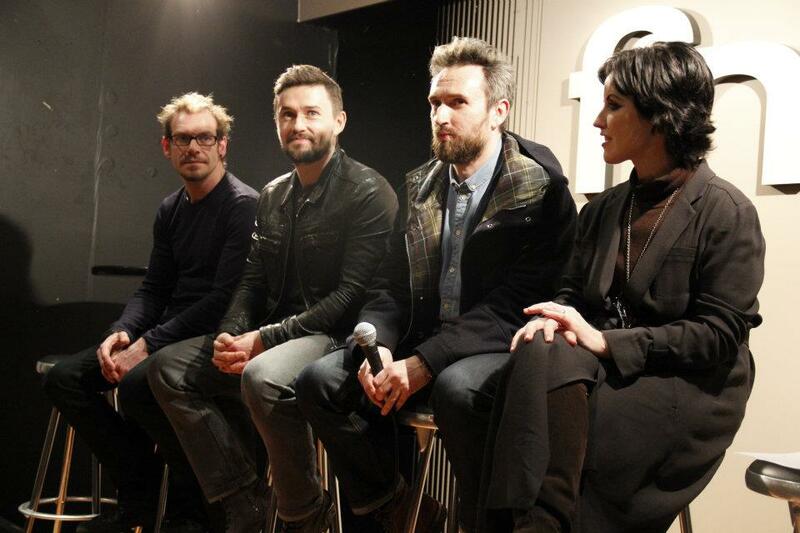 The Cranberries will be recording an episode of London Live 2.0 on Italian television RAI 2 on February 20. The band will perform 3 to 4 songs for this show. 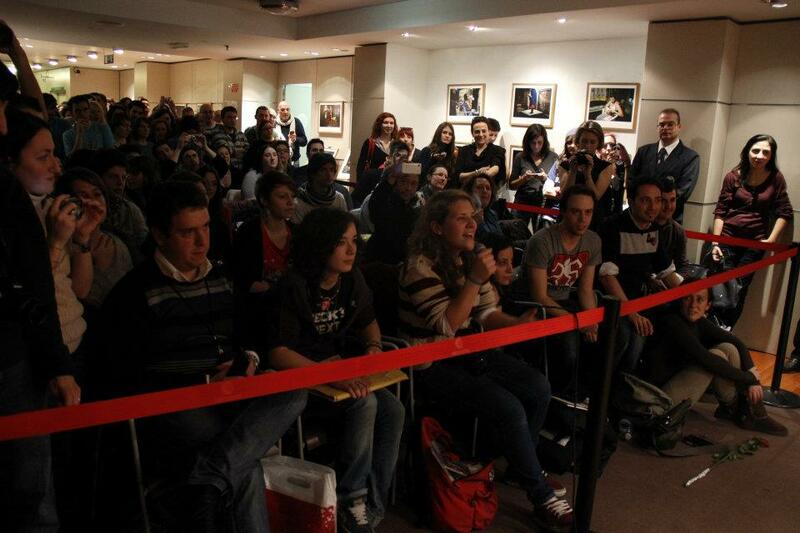 People in the Milano area can write at alessandra.pagan@stproduction.it if they want to be part of the audience. They are asked to provide their name, address, telephone number and age. The taping will take place on Monday, February 20 from 2:30 pm to 7:30 pm at studi Rai in Viale Mecenate 76.
iTunes Japan is now offering a 1:29 preview clip of bonus track “Someday”. The song, which was written before the band hiatus, is a slow rock effort with political-themed lyrics. “America is waiting for a spaceman to come back / The President is shaking, the oil is running dry,” sings O’ Riordan. In other news, the Japanese iTunes Deluxe Edition will include “Perfect World” and “Always” as bonuses, but not “Someday” – which is released only on the standard edition. 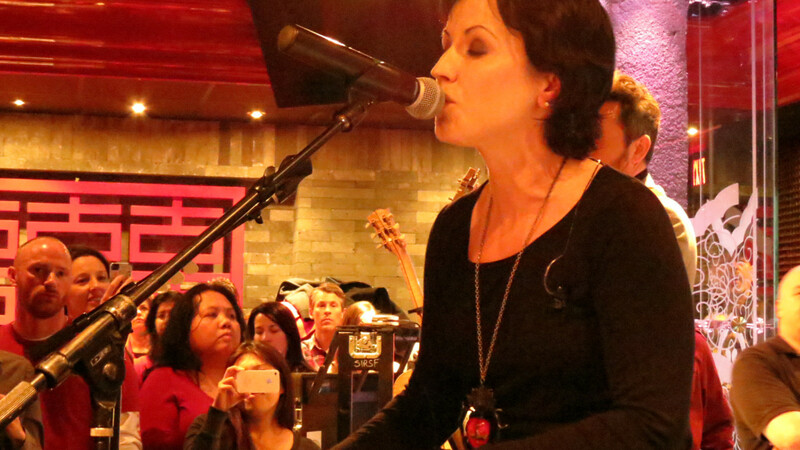 The Cranberries offered a 5-track performance at Infusion Lounge in San Francisco yesterday. The band performed two new songs from Roses (“Tomorrow” and “Raining in My Heart”) as well as three 90’s classics (“Linger”, “Ode to My Family” and “Zombie”) for 97.3 FM listeners who won tickets for that first showcase of The Cranberries promo tour. Five lucky fans also had the opportunity to meet the band with one guest each after the show. Listen to the 5 songs on the radio’s website. The Cranberries will be doing a special acoustic performance at Infusion Lounge in San Francisco next Sunday from 6 to 8 pm during the Alice’s Little Red Dress Party. The people at the radio station confirmed that the performance will not be broadcast, but will be available on demand on Monday via video and mp3 on Alice website. If you are in the San Francisco area, check out how you can assist to the show.